2018-19 UPDATE!! 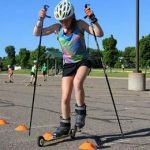 Bay Nordic Jr. Team’s Kick-Off Meeting & Open Registration is scheduled for 6:00pm September 30th, 2018 at the PINES BUILDING across from the NEW ZOO. The Jr. Team is open to any MS or HS student in the Green Bay/NEW area who would like to pursue Nordic Skiing. Practice begins in the late fall and continue through winter. Practices consist of a variety of training sessions including trail running, hill bounding, strength, and roller skiing. When the snow flies, our team competes throughout the State and Midwest. All skill-levels are welcome…we encourage new skiers to join! Coach Presentation 6:00 to 7:00pm. Presentation will cover equipment, training/practices, race schedule, and general overview of program. Q&A with coaches-parent reps and boot swap 7:00 to 7:30pm. 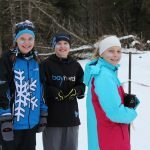 If you have any questions, please e-mail Coach Noel at baynordicjrteam@gmail.com. Click on our Junior Handbook 2018-19 for complete information on our Junior Team including What to Expect, Team Member Expectations, Practice & Training Information, and Race Information. Assistant Coaches & Practice Leaders – Volunteer assistant coaches support the MS and HS Program! 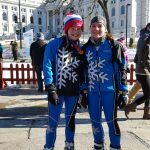 Each practice include multiples coaches that bring a wide range of Nordic skiing talent; including Collegiate Alumni, Master Racers, and fitness gurus! Students and athletes from any school district are welcome to join the Bay Nordic’s Junior Team. 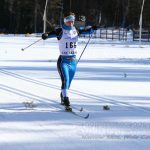 Our team welcomes and supports all athletes with or without experience in Nordic skiing. Team members are given an opportunity to set goals for their level of participation, whether it’s to develop a lifelong healthy lifestyle, state-level racing, or pursue junior competition at the highest level. Middle School (MS) Team – The team is open to grades 5th through 8th . Families of 5th grade athletes need to discuss with head coach before signing up. High School (HS) Team – Includes grades 9th through 12th. Both programs start in October when the team begins “dryland” practices 3 to 5 days a week and transition to snow in December. Fall sport athletes join following their school season. 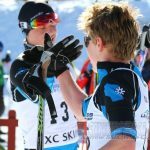 › October 16, 2018 (Tuesday) – Official Start of Fall Practice for all Skiers. Dry land training sessions until snow flies. Athletes join as fall sports end. › Mid-December 2018 – Racing season starts! 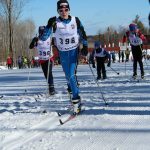 › December 2018 through March 2019 – On-snow skiing, training and weekend races or practices per schedule.